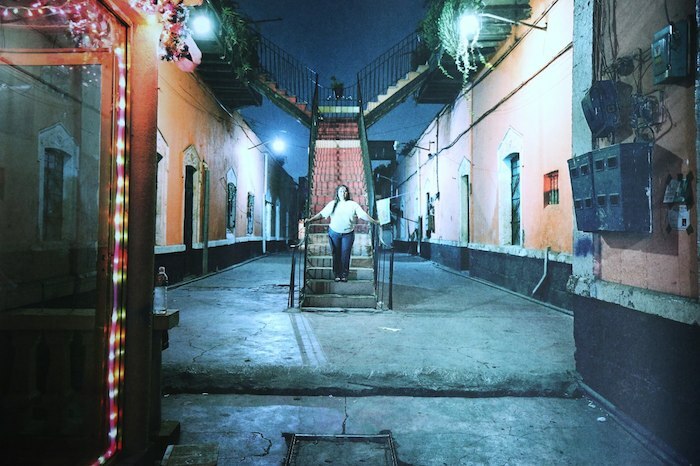 The Bad Girls of Tepito, Las Cabronas, offer more than a tough image. 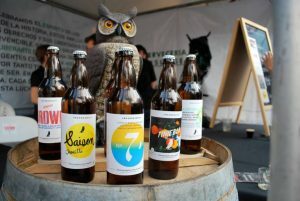 They're the hope and the success story of one of Mexico City's most famous neighborhoods. 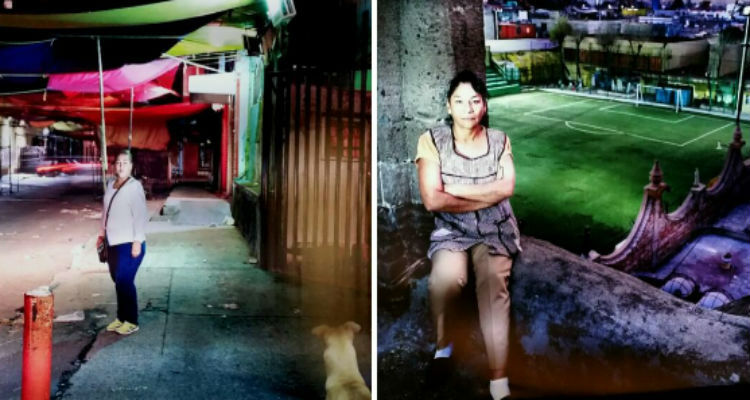 German photographer, Ana Jensen, shows that Tepito’s “Bad Girls” are more than just ladies from the ‘hood. 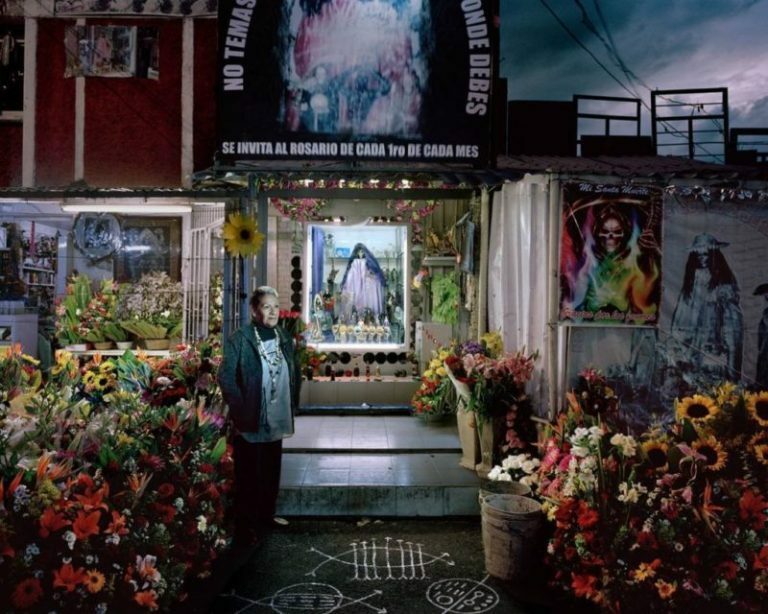 Mexico City’s Tepito neighborhood has for a millennia history offered resistance, rebellion, and hope. Tenochtitlan relegated dissidents to Tepito’s crooked alleys. The “brave neighborhood,” even hundreds of years later, is still marginalized and bent on survival. Somehow residents seem to bear that history in the very DNA. 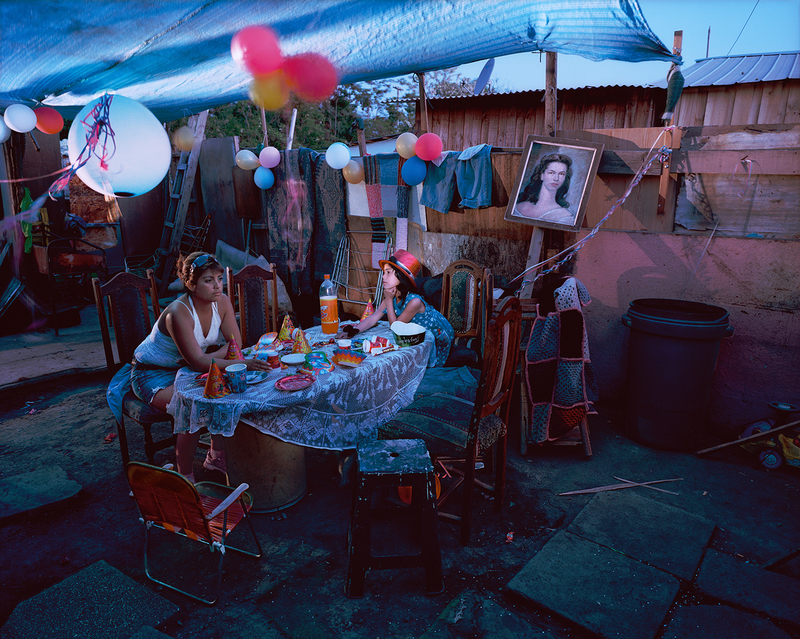 With a reputation for violence, deprivation, and overcrowding, some of the great characters of Mexican history have come from Tepito. The cradle of Mexican boxing, in the 1970s an important literary movement emerged in Tepito, and the neighborhood has contributed as much to the culture of the city and country as have many, much wealthier places. German photographer, Anja Jensen, is currently exhibiting her work in a show called “Ciudadanas-Caminamos a oscuras” (Citizens-We Walk in the Dark). 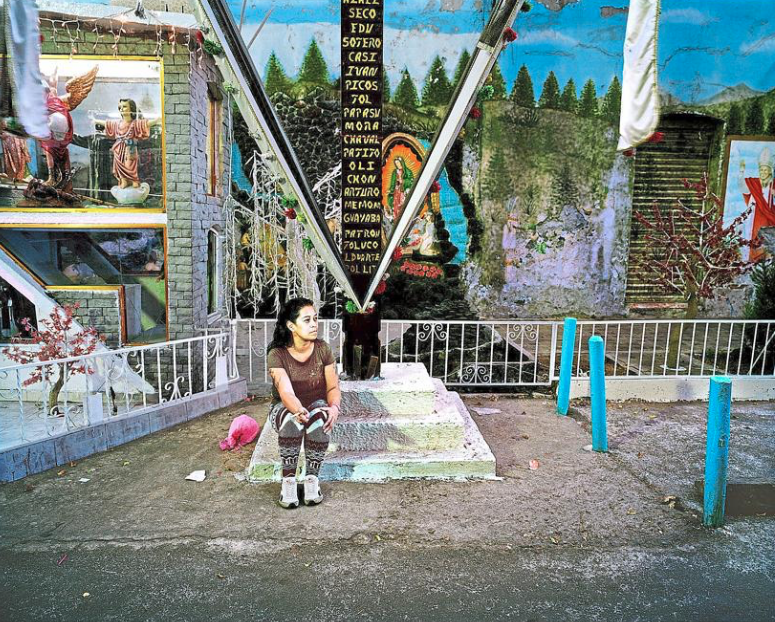 Having spent months in Tepito, she’s documented the women challenging the stereotypes of the neighborhood. Jensen was assaulted and threatened, but she was also clothed and cared for by the women who opened their stories and lives to her. The result is a series photographs, “Las Cabronas de Tepito,” (Bad Girls of Tepito) a collective portrait of the matriarchy whose fervor makes the neighborhood better and regularly improves the lives of the people living there. The photographs will be exhibited through February 12, 2017, as part of the Mexico-Germany Dual Year, at the German Pavilion on the Plaza Rio de Janeiro, in Roma Norte. 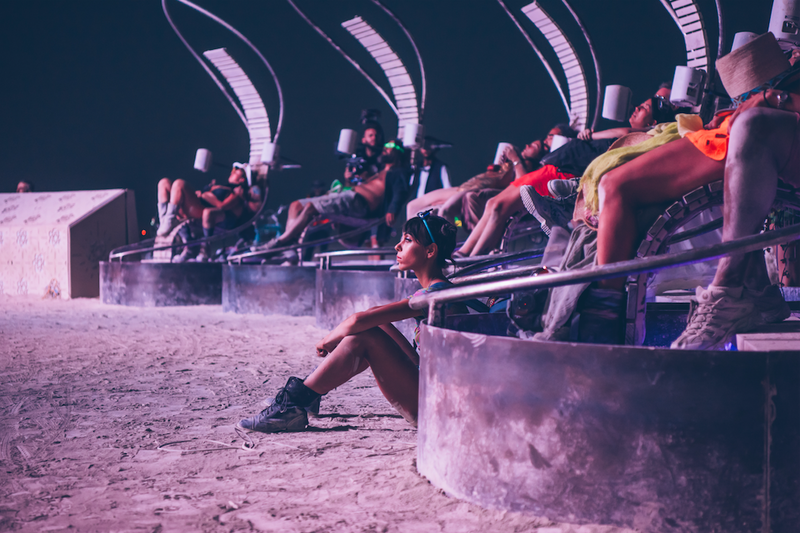 ILUMINA is an art piece where technology, design, light and sound invites us to experience the ways in which we are all connected to the cosmos. 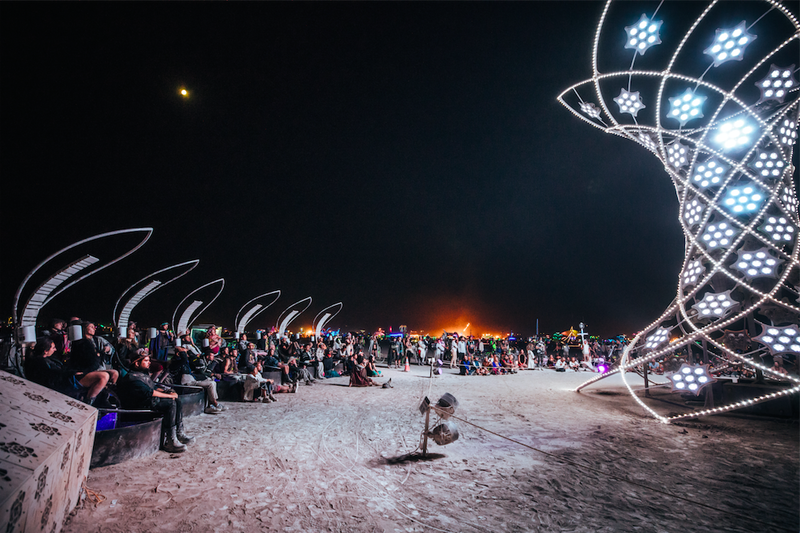 ILUMINA is an interactive sculpture of light and sound fed by the collective energy of people’s hearts. Art and technology are two faces of human creativity, two that are also closely related, despite the differences they apparently have with each other. What art does on many occasions has been achieved thanks to a specific technical development, a technology whose existence allows the artists to enhance or limit their creative work. Yes, it conditions it, but possibly also encourages it to transcend those limitations. In this sense, the relationship between one and another human activities could be found in virtually any era, but it is certainly in recent times when technology has a presence, so persistent, somehow so inescapable, that art has been benefited for incorporating it. Both as a resource, an instrument, as part of the examination of contemporary reality, when many of our practices and interactions almost necessarily pass through a technological device. Thus, somehow the ideal professed by Nietzsche on the need to transform life in a work of art, but this time through art and technology. Somehow the aesthetic sensibility, the discovery of the admirable or the frankly beautiful that any of us can perceive, finds a vehicle, a means of transmission and expression in how art can be magnified through technology. 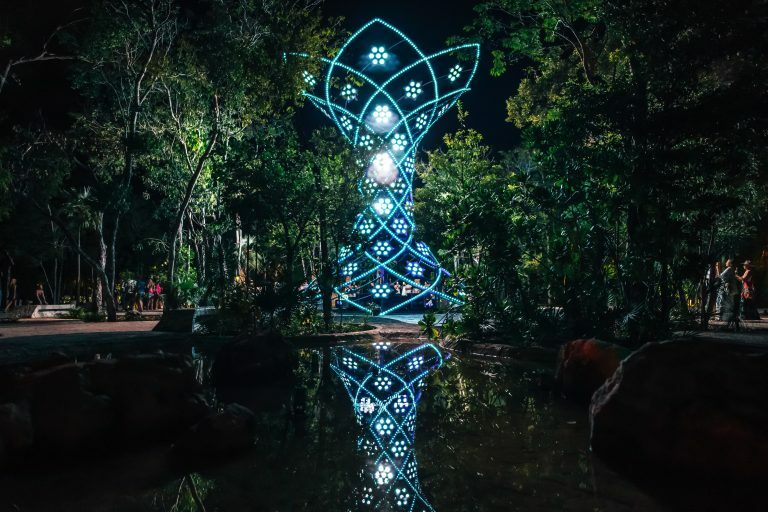 Ilumina is an installation created by the artist Pablo Gonzalez Vargas, who through a deep exploration with the power of interconnectivity, proposes a method to improve the energy field of the planet. 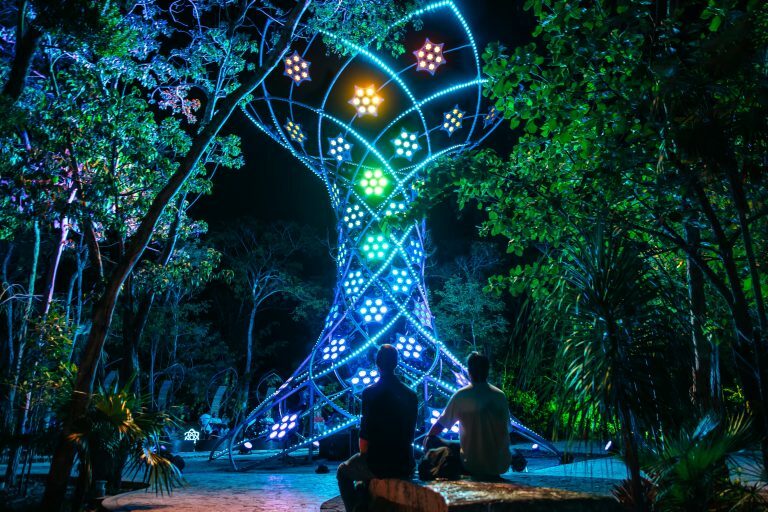 Pablo Gonzalez created a majestic interactive sculpture of light and sound that is activated by the emotional states of people, generating a beautiful light show and a sound landscape where the participants enter a state of coherence and deep harmony with themselves and with each other. 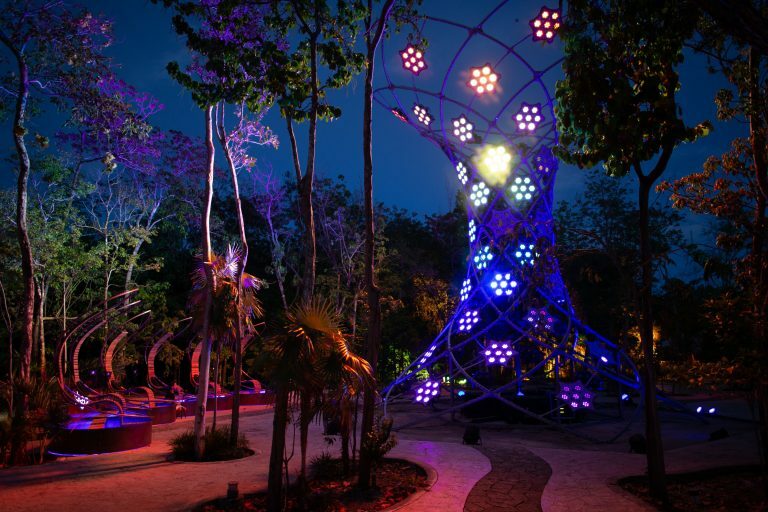 Ilumina is a metallic art monument, completed with aluminum and LED lights that together form an architectural piece full of harmony. 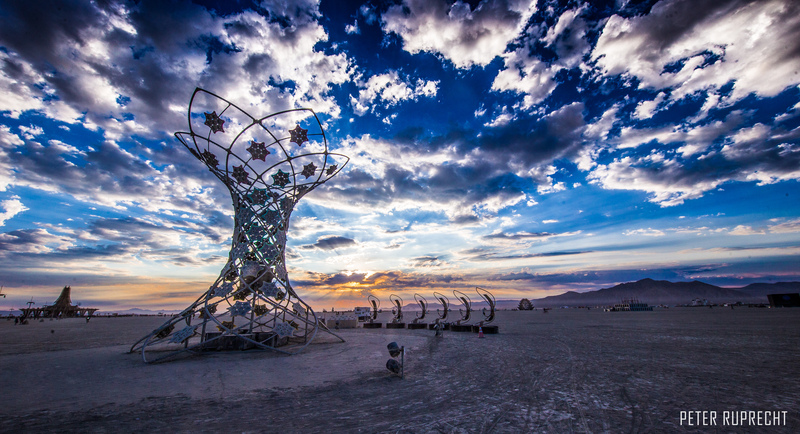 The piece of art combines technology with a design of ancient wisdom. Ilumina has a program that responds to external stimuli, being able to shine more while more “coherent” is the group that hosts, generating a unique shared experience. 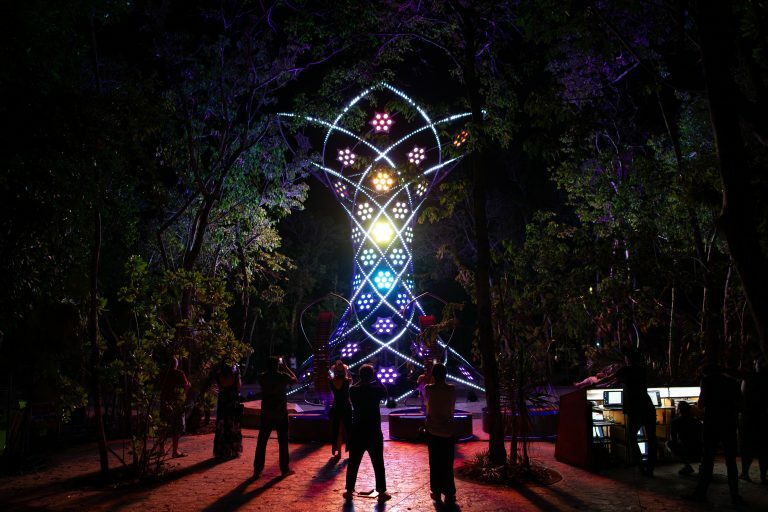 Ilumina is a chilling visual experience, and the volunteers who participate in the exercise of meditative immersion that lasts three minutes, are transported to a state of coherence and deep harmony with themselves, with their fellow participants and with the cosmos through a patented fusion of modern technology and transpersonal art. The biometric sensors are connected to the ear lobes of each participant, which measures their unique state of coherence and averages them together. 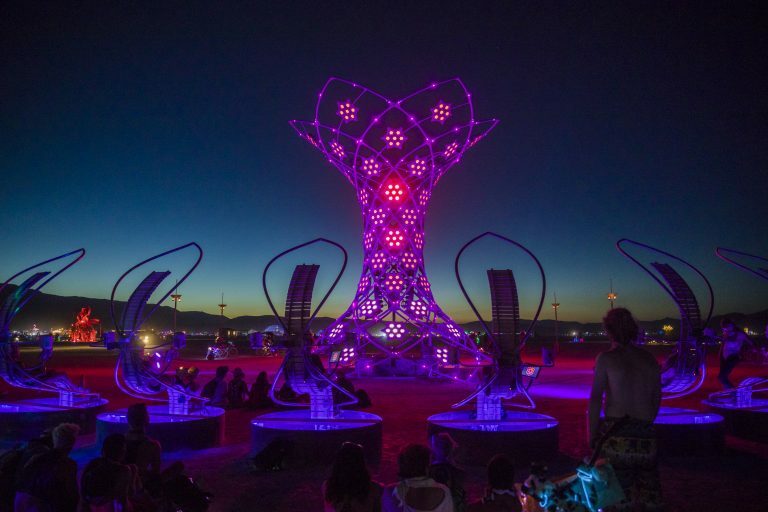 This is how lighting design and moving soundscapes respond to a unique algorithm, a product of HeartMath that uses biometric sensors for personal self-training in the regulation of emotional states where the sculpture becomes brighter to the extent that the users experiment with their emotions. The team that created Ilumina included about 20 people from different disciplines and contributions. There was a large industrial design team that shaped the exact model that was taken to manufacturing. 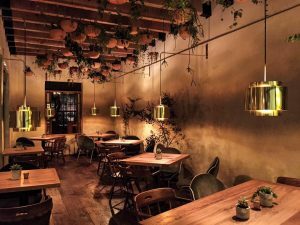 Marco Kalach worked with an expert manufacturing workshop, because as it is a public use facility in particular events, it had to comply with all the rules, structural regulations and with protection codes. 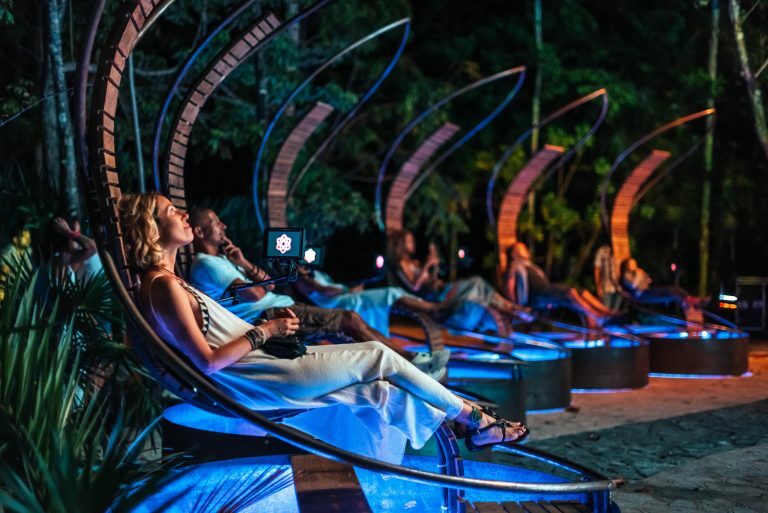 The executive producer of the project was Gaby Vargas, who was responsible for the expertise at HeartMath, and joined by mexican musicians and audio engineers to make the experience of 360 degrees of immersive sound, led by Billy Mendez. The lighting team, directed by Paolo Montiel, coordinated all the programming and lighting design that makes symbiosis with the audio. 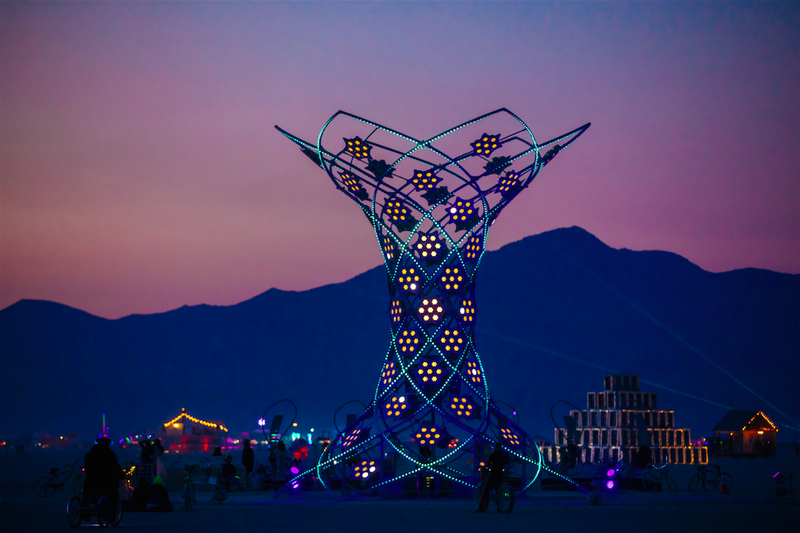 It was at Burning Man 2012, where Pablo Gonzalez Vargas created an art car called Mayan Warrior: a luminescence project and a spectacular audio show featuring pieces by the artist Alex Gray and musical performances by elite artists from Mexico and around the world. 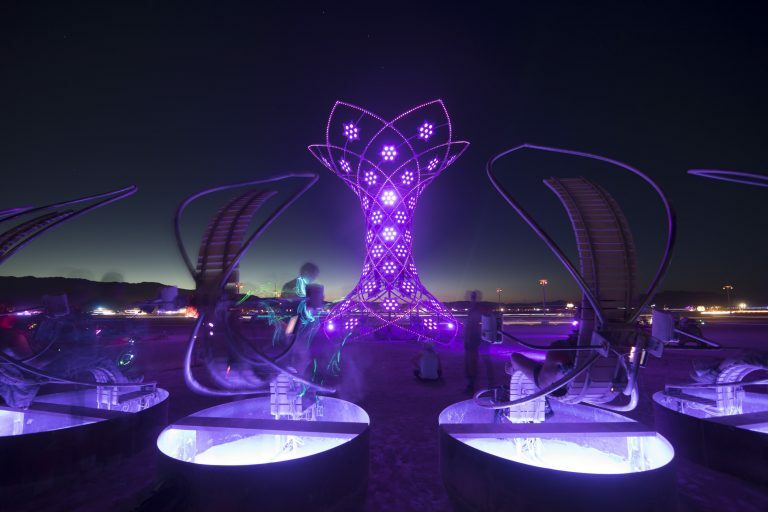 In the penultimate edition of Burning Man, Pablo Gonzalez and his team decided to go a step beyond the great proposal that is Mayan Warrior, by presenting Ilumina, this piece of sacred geometry that radiates not only light but an algorithmic sacrality, it’s as mystical and hypnotic as an art piece can get. 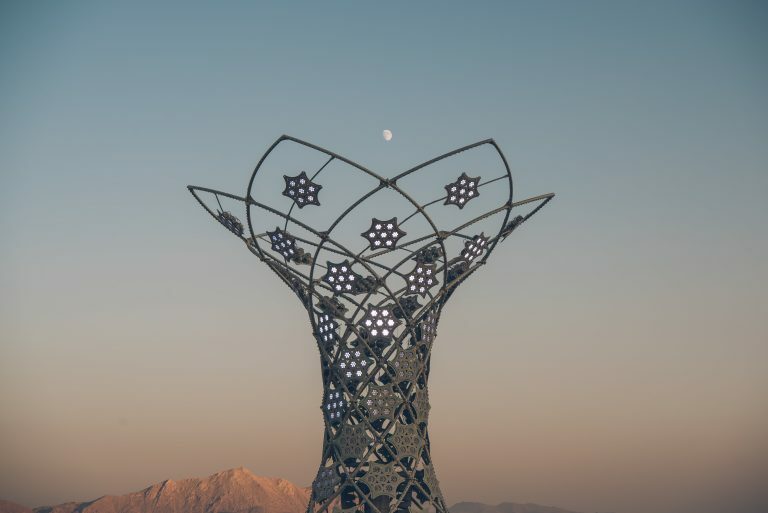 The tower of almost 12 meters high illuminated the Nevada desert at the Burning Man Festival 2017, and users managed to enter a mental state full of concentration characterized by a complete absorption, a wonderful moment of loss of the notion of spacetime. 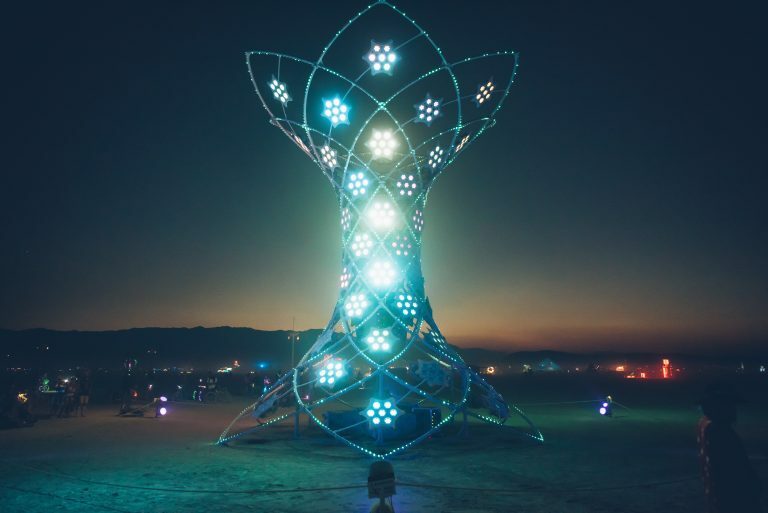 It is expected that later there will be replicas of these sculptures, so that they can reach new locations around the world, and we can experience this amazing spectacle of light and the soundscape that connects us with the profound mysticism that exists in ourselves and that highlights the interconnectivity of our planet with the global energy fields. Here are some photos of this beautiful project, in which lies the probability of a coherent and luminous future that would be worth living. For budget travelers, Mexico City libraries were always among the most attractive, free attractions to visit. Today, they're simply too inviting to pass up. Chilangos may cherish their reputation for never reading, but Mexico City libraries present a very contrary picture. Though the internet makes lots more information available to lots more people, Mexico City libraries have simply not been supplanted. Charged with continually re-inventing themselves, and their places in the public imagination, one can still encounter eras gone by and great historical minds in a library as in few other places. Knowledge, after all, belongs to everyone. 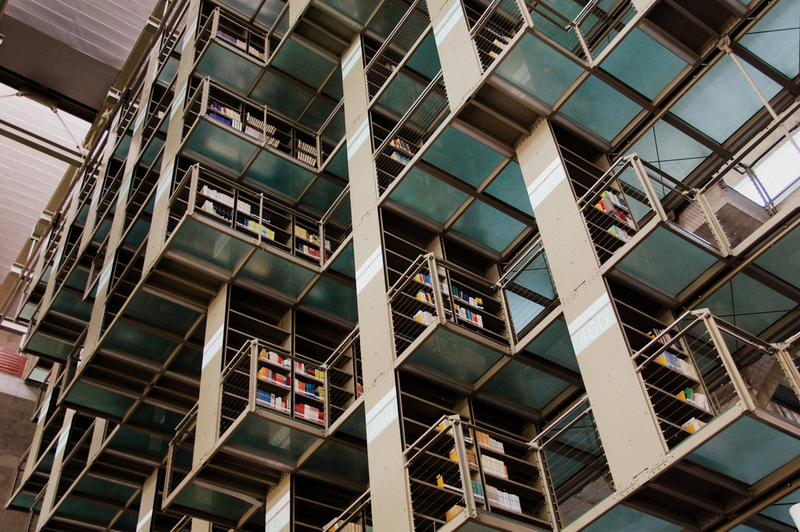 Opening a book, reading it at a study, or just meeting in the silence of one these Mexico City libraries enhances concentration, and provides a welcome respite from everything going on out there in the world. 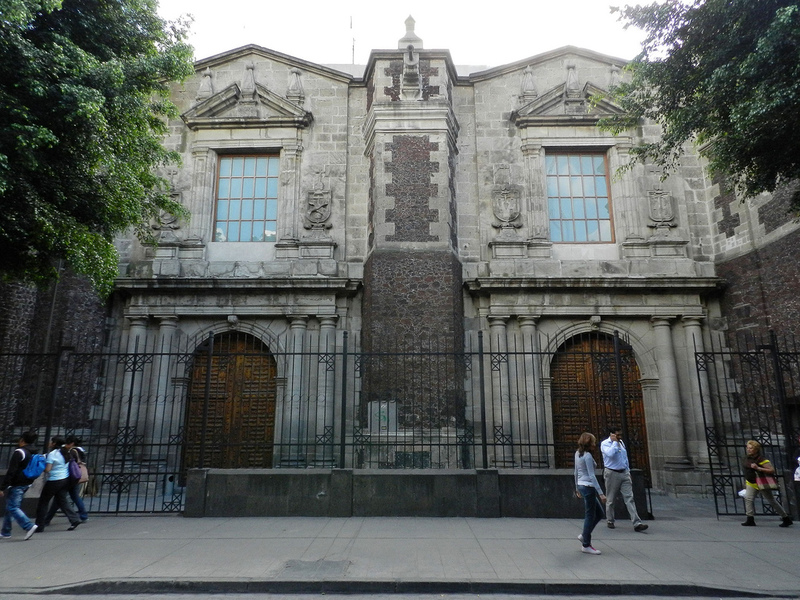 Of all Mexico City libraries, the oldest were part of the church and one or another of its offshoot organizations. 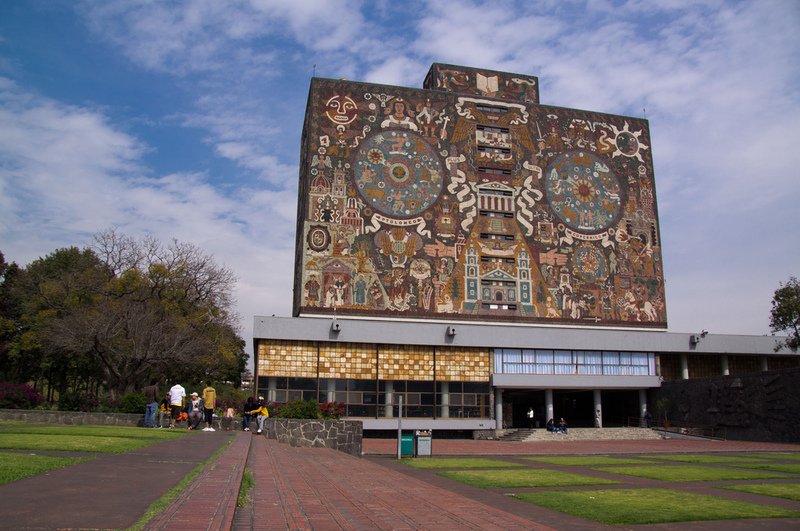 Among these was the Colegio de Santa Cruz de Tlatelolco, founded in the 1530s and surviving today as the Biblioteca José María Lafragua. Most of these ecclesiastical libraries were not truly open to the public, and Mexico had to wait for the National Library of Mexico, inaugurated by Benito Juárez in 1867 to enjoy the benefits of a truly public library system. The list below is intended to let you enjoy some of that system, too. Opened just ten years ago, in 2006, the Vasconcelos is visited by thousands for the sheer spectacle of its innovative design. 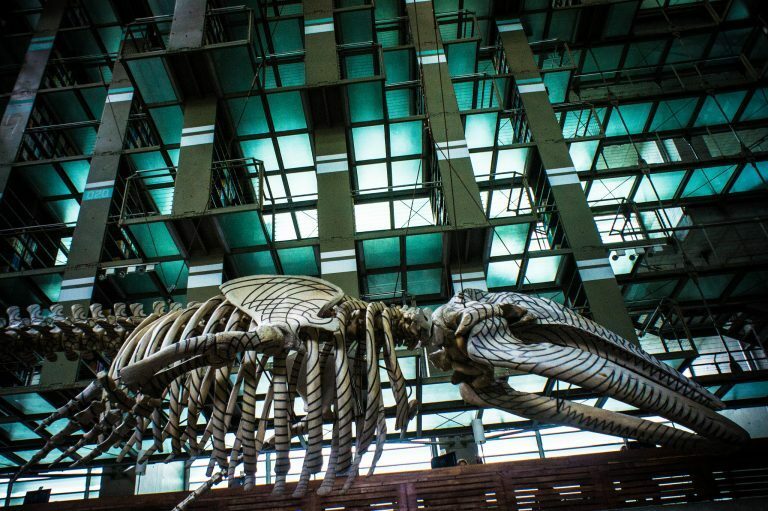 Graced by the iconic whale from artist, Gabriel Orozco, it’s always a good library for art and visual spectacle. The facade retains something of a colonial appearance, but for sheer scale, and jaw-dropping space, the interior must be experienced. 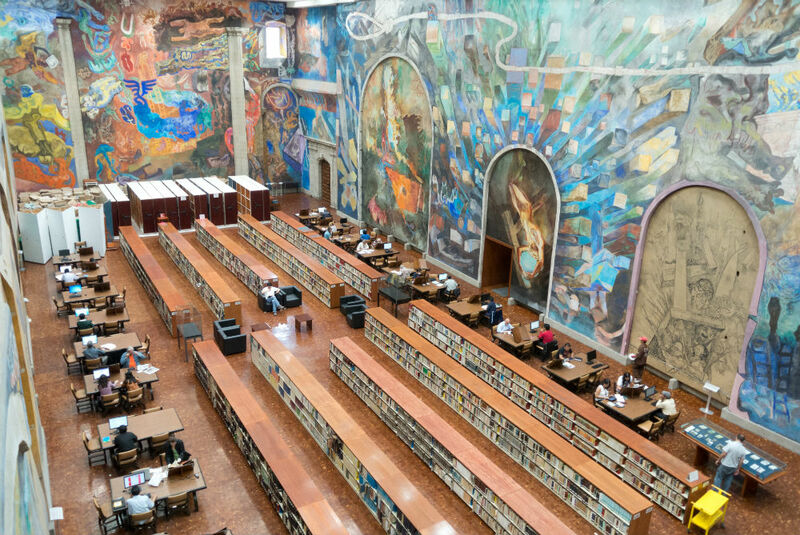 We’ve written a lot about it in these pages, but the UNAM library with the Juan O’Gorman murals remains one of the most outstanding of all Mexico City libraries. As a UNESCO site with some 428,000 volumes in the collection, it’s the biggest in Mexico, but lots of folks visit just to see the facade and the surrounding grounds. Opened by Benito Juárez in 1867, there’s still a good one million books inside, today administered by the folks from UNAM. Originally located in the San Agustín church in the city center, the current building was opened in 1979. Geometric, and massive, it’s an extraordinary place to visit. Specializing in economic materials, this collection of some 86,350 books and 114,852 journals is administered by the Secretary of Finance and Public Credit. 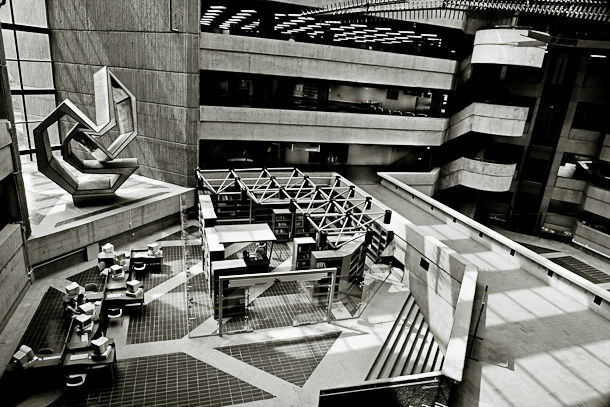 Founded in 1928, it’s one of the cities true public art spectacles. Inside the main nave of the old Oratory of San Felipe Neri “El Nuevo,” the baroque façade outside is just the beginning. Inside, the murals are futuristic, and not to be missed. One of Centro’s truly outstanding historical buildings, for centuries it was the convent of the Clarisas from the 16th century. Today it’s something like a “Library of Congress” with a stunning collection of publications and artifacts, but also with a lush, deep, dark intellectual interior, that beckons from centuries past.